It's been a while since my last post, but I went to journalism school during my little break and as a result I have created a new blog! I've made the switch to Wordpress, and so far I'm loving it. I'm no longer going to post on here, so head over to my new blog! To those of you who read my Bloggers Ball post (find it here), you'd know that I was really looking forward to my TOAD Diary to arrive. To those new readers (hi there! ), at the event I was given a promotional code to customise my very own diary for free, which I did so straight away and this is the result! As you can see, I wanted to include a Mean Girl element onto my diary because I'm absolutely obsessed. I'm really chuffed with how it looks, it's so cute. 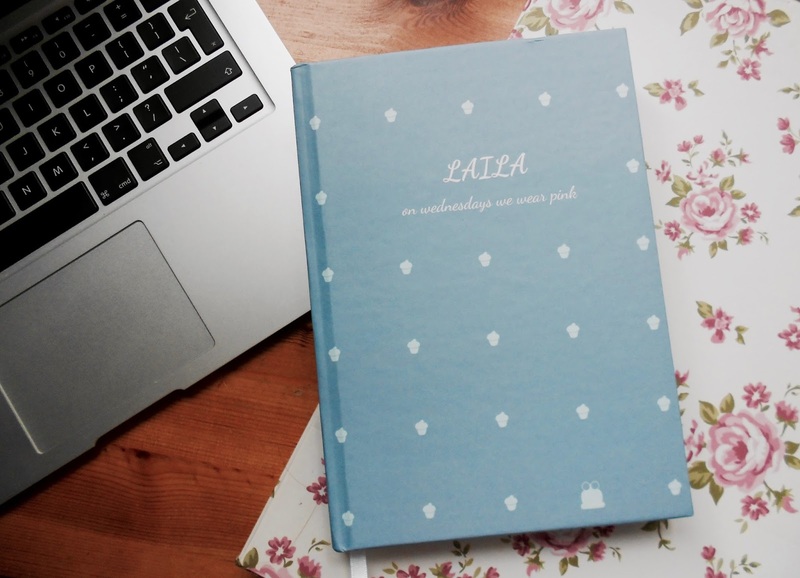 The process of personalising your own diary or notebook is very simple, which is something I really liked about this brand and their website: here. It's all very clear and easy to get done. You start by choosing what kind of book you'd like: a diary or a notebook. 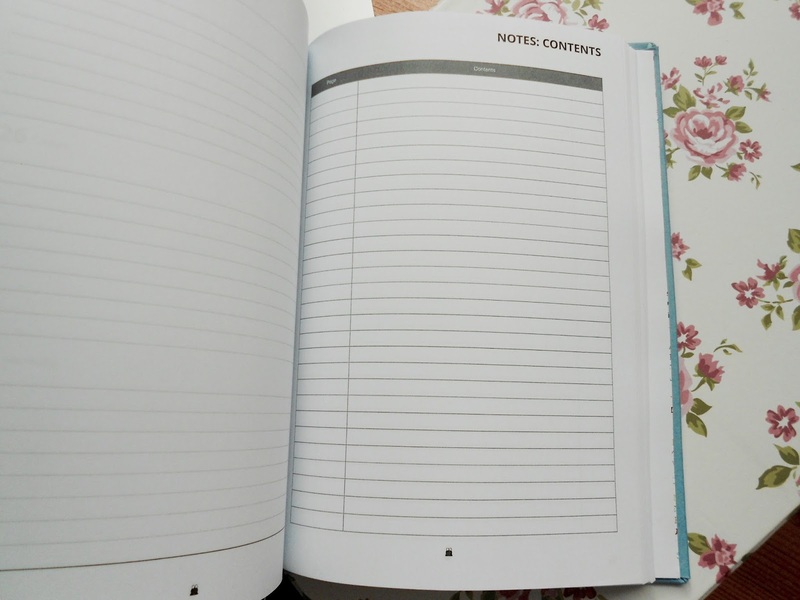 Then you choose the size and format which can be made to track your appointments, your fitness regime or the classic weekly view diary, which is what I opted for. I chose a minimalist cover theme as I thought it was so cute with the little cupcakes, but you have a complete wide range of themes to choose from, from really awesome molten themes to even UEFA Euros ones too, if you're into football. I like to have some notes pages at the back of my diary to add more detail to some of the things I have planned throughout the year, so I was glad I could add this onto my order. And it also comes with a contents page which I thought it was quite interesting, as I'll be able to find my notes more easily. 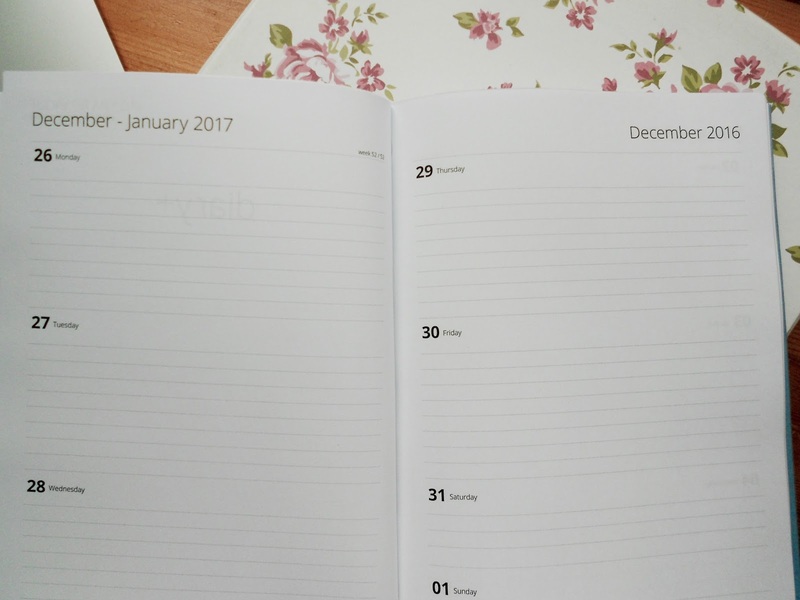 You then choose the duration of your diary which can go up to cover 36 months and the month and day you want it to start on. 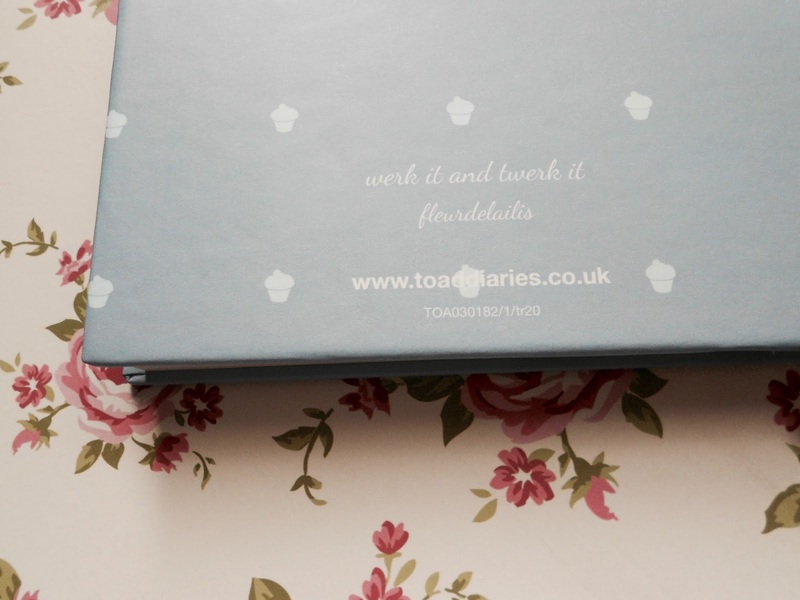 I'm really glad I came across TOAD Diaries as I really like that it's made in the UK and that you have control of how you want your diary to look. On the back page, I decided to add my blog name as I thought I'd use my diary for blog planning. The 'werk it and twerk it' is a motto I came up with when I was back in school and I since then my friends use it quite a lot and it's sort of become like our thing. 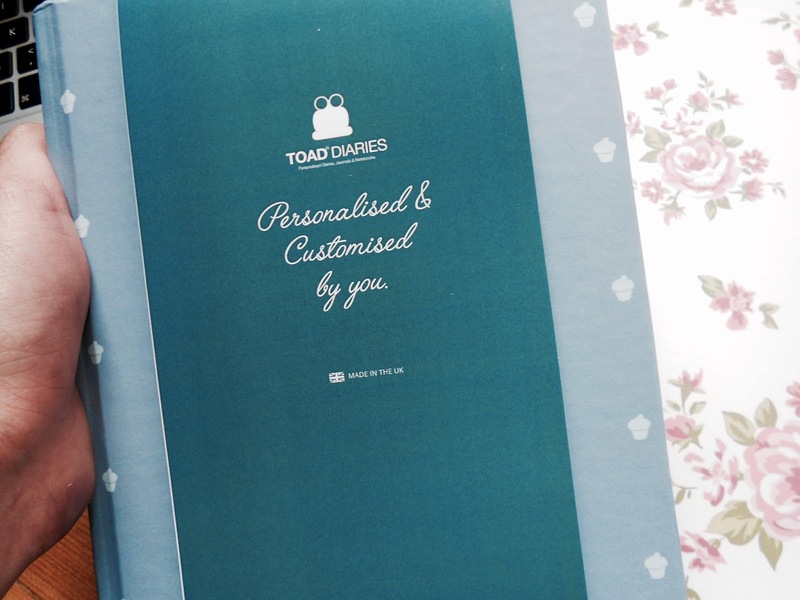 If you'd like to try TOAD Diaries, they do a sample diary on their website which you can test first! 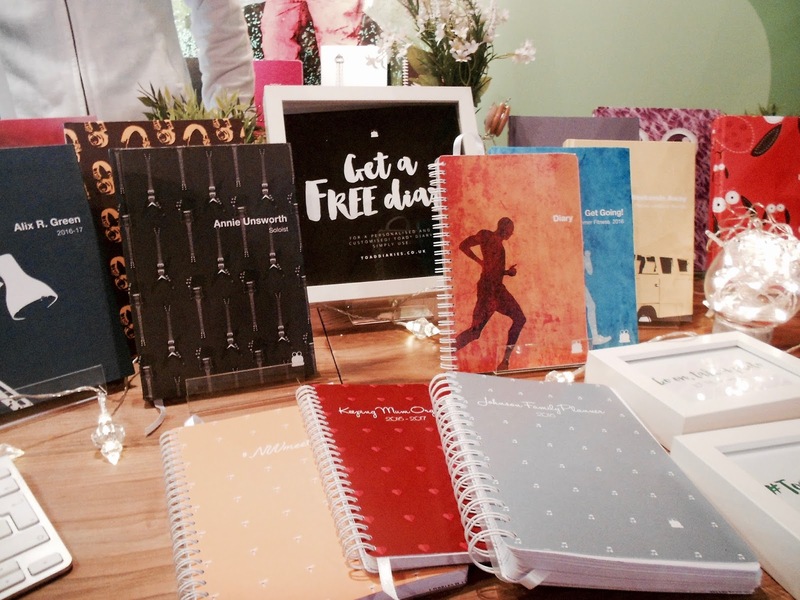 Do you own a TOAD diary? 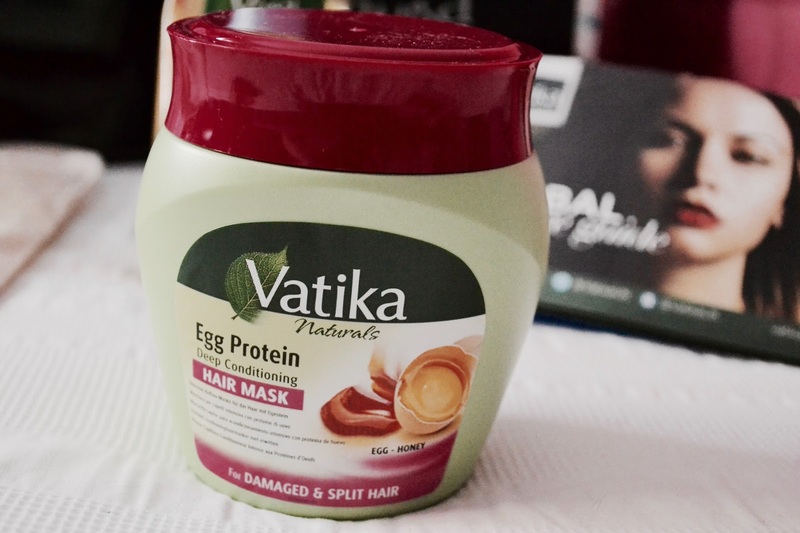 I was gifted these products by Vatika at #BloggersBall (read about the event here) and despite not having heard of this brand before, I was very keen on trying them out. My hair, first of all, is very dry at the ends because of the numerous amount of times I have dyed it; so when I told the haircare specialist about it, she recommended me to try the coconut enriched hair oil to help nourish my hair and increase its volume, as well as the egg protein hair mask to moisturise my damaged ends. 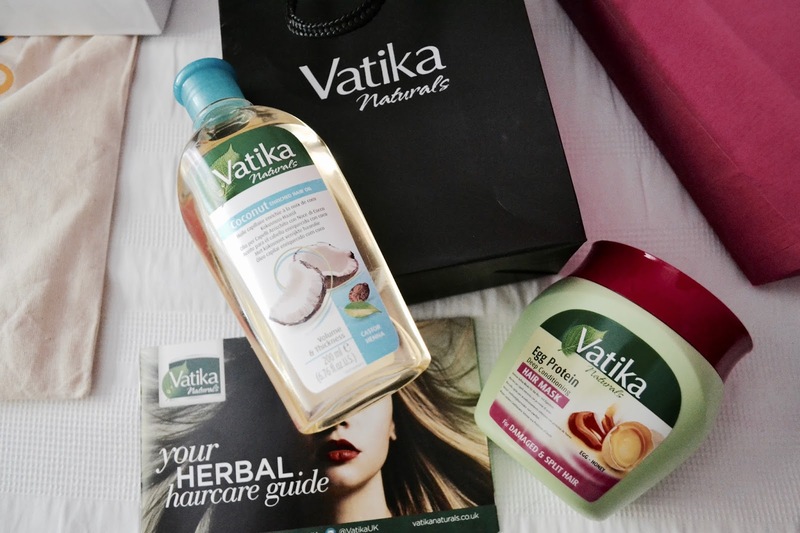 Vatika products are made from natural ingredients aiming to nourish and take care of all types of hair. Their products all contain herbs which focus on maintaining the hair naturally nourished and restoring its healthy look. The coconut element in the hair oil helps reduce protein loss as well as help strengthen and thicken the hair. It gives you the option to use it onto damp hair before shampooing it out to add volume, but I instead left it overnight which proved to be more successful. I only used it on the ends of my hair, and on the following day I could feel that it was looking much smoother and silkier. I used it twice a week and noticed that it reduced the frizziness at the ends of my hair which I was very happy about. I read on their guide that melting a small amount of the oil before adding it to the hair helps penetrate deep into the shaft and restore its strength and maximise its volume. I'll definitely be trying this technique out next. The Egg Protein Hair Mask contains both egg and honey in its conditioner. The egg provides the necessary proteins to repair damaged ends and strengthen the hair itself. The honey is a natural moisturiser that softens the hair immediately. I firstly shampooed my hair and then added the mask once I had gotten out of the shower. I used it on the ends of my hair while it was still damp and then wrapped a towel around my head and left it in for about 20 minutes. When I washed it out, I instantly felt that my hair was much smoother and when it naturally dried up, it looked much healthier and felt more nourished. Another great thing about this product is that it smells really nice and not like egg at all, so I didn't have to rewash it like I had initially thought I needed to do. I'm honestly so glad I was introduced to this brand as so far, it's working wonders on my hair. The retail price is also very affordable ranging from £2.99 for their shampoos and £5.99 for their hair masks at Superdrug. You can visit their website here, where they explain the different herbs they use and the range of products that they sell to suit both your hair type and problem. 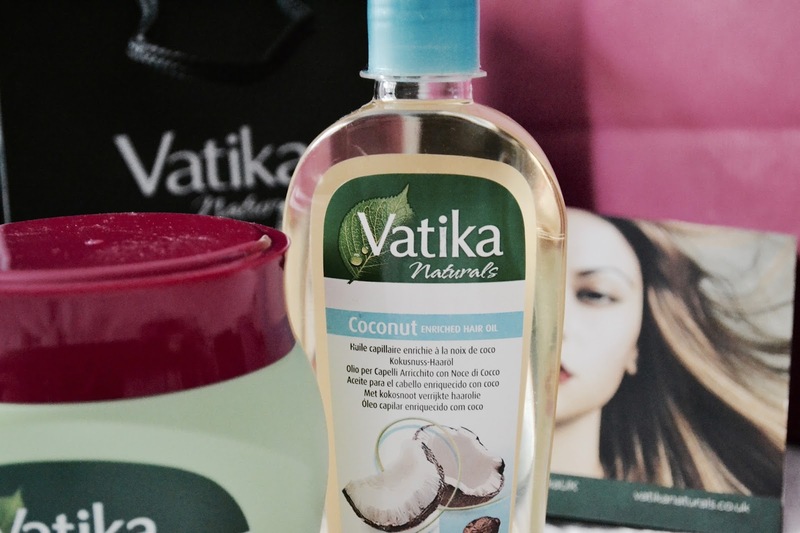 Have any of you used any Vatika products before? Hi everyone! 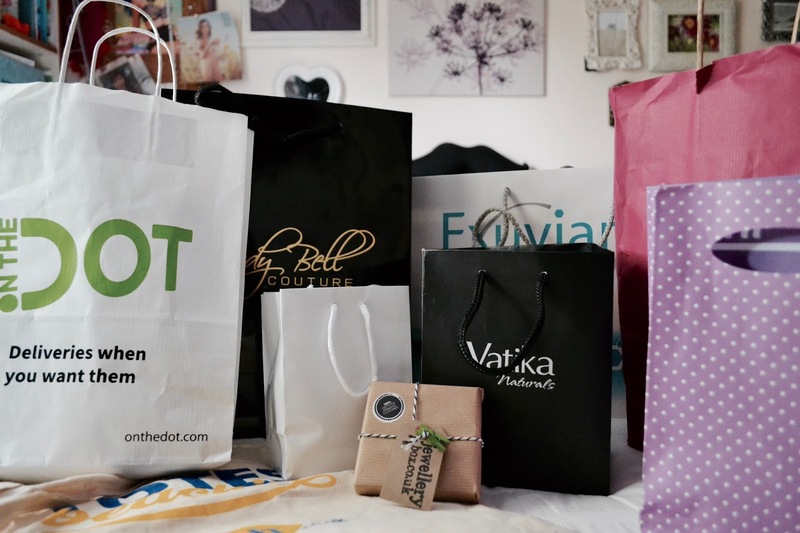 So on Saturday I went to my first ever blogger event organised by the fabulous Scarlett London at DSTRKT in Soho and I came back with so many goodies which I will show you at the end. My arm literally felt like it was going to fall off! 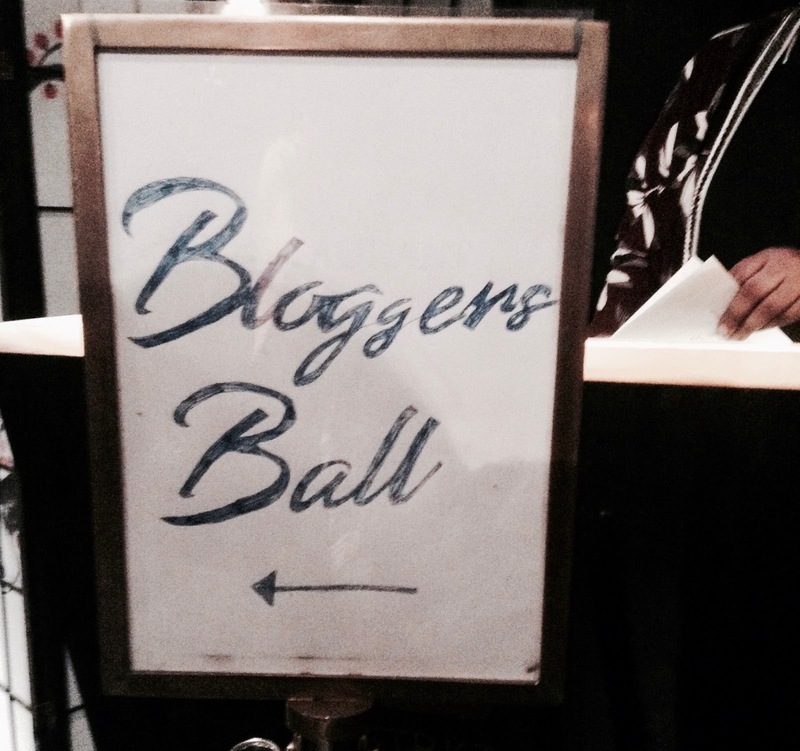 Before I start with showing you all what was inside the bags, I want to just talk about the #BloggersBall for a sec. 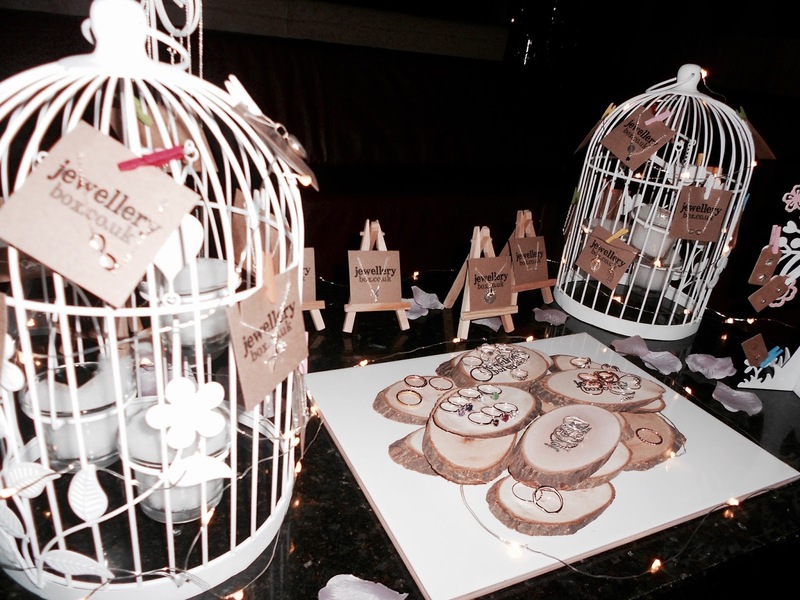 So it was a glitzy ball themed event where various different brands came together to showcase their products and give bloggers the opportunity to chat with them, find out more about their products and even network and collaborate. The atmosphere was really chilled and friendly, that it didn't matter if you were by yourself as there was always someone to talk to. I must admit that I was slightly nervous to attend the ball on my own at first because, as I said, it was my first ever event and I did't really know how to approach brands or even talk about my blog. But to be honest, I was worrying for nothing. I met some amazing people there and got chatting to brands straight away. 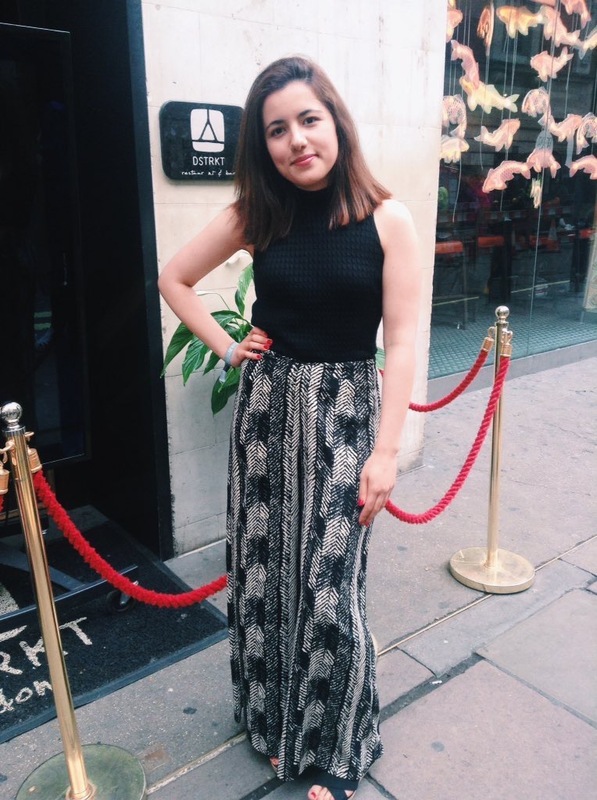 The palazzo trousers I found at a charity shop and the top and wedges are from Primark! I'm all up for a bargain here, haha! It was a really comfortable outfit, and I'm glad I opted for trousers rather than a dress because it was slightly cold even if we're in the middle of June. Anyway, as we entered the venue (I say 'we' because I came in with five other girls whom I had met up for lunch beforehand) we were greeted by Scarlett herself who was handing out a brand directory guide to us and thanking us for coming. 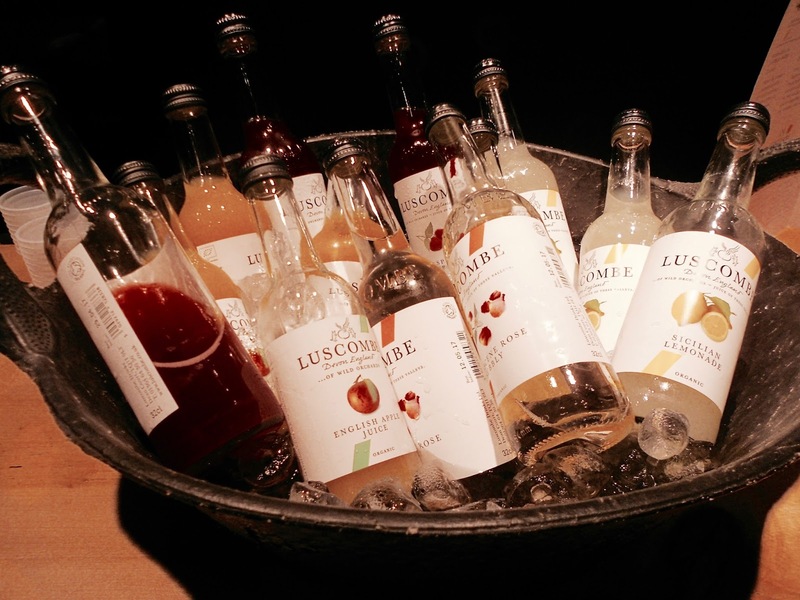 We were then lead inside where we were greeted to a free drink from Luscombe which was really nice. I tried the Raspberry Crush which was made from organic fruits and tasted so good, I wanted to try all the flavours but resisted because I didn't want to finish their samples! 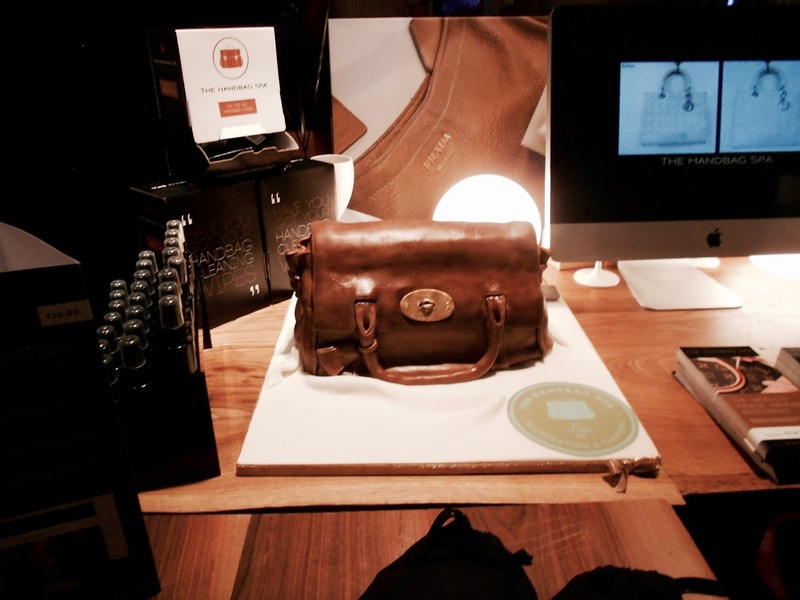 On my way to the bar, I stopped by The Handbag Spa who had a Mulberry bag made out of CAKE! 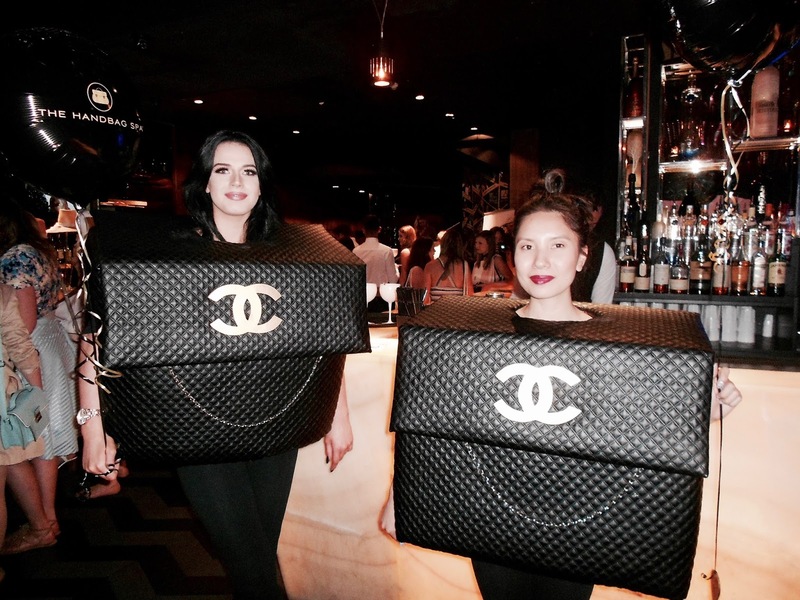 There were also two girls dressed as Chanel bags walking around who I managed to get a snap of. They looked so cute! Each brand had a little something to give out to us, some were more generous than other in the sense that they gave us so many of their products for us to try that I felt like I was getting spoilt. All the brands I spoke to were so kind and passionate about their brands that I spent almost ten minutes at each stand listening to them talk about their products. It was really nice getting to know brands that I hadn't heard of before. One brand I particularly loved was Jody Bell, because I was made to feel like a model when asked to try out an outfit. But I will talk about the brand in more detail next time as I'm waiting for the pictures to be sent to me. Scarlett was actually wearing a jumpsuit by them which looked great on her, and she features in their promo video too! Jewellery Box had such beautiful, cute and dainty jewellery on their stand that I absolutely loved, especially their dinosaur necklaces! All in all, it was fabulous event. It really was amazing hanging out with people who genuinely understand what you do and not just smile and nod. I'm also super glad I went to the lunch beforehand which was organised by the lovely Vanisha, because I met some amazing people who I can't wait to see again! 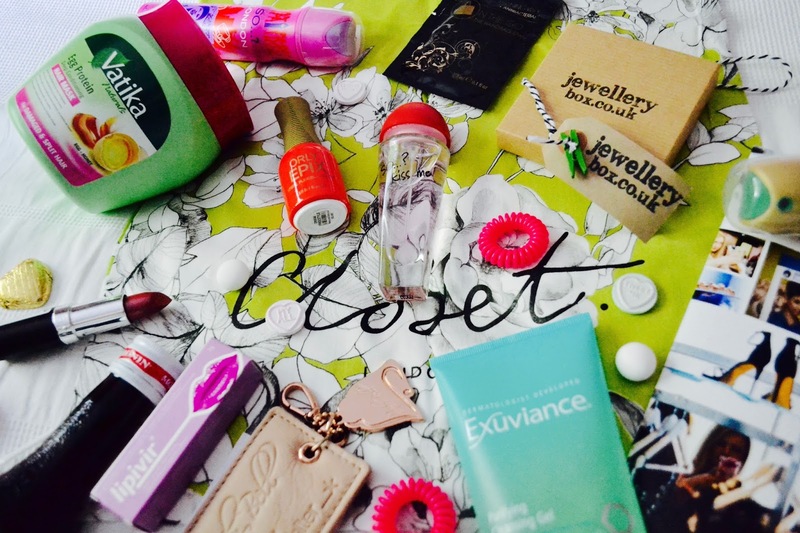 Now onto the goodie bags! I'll be reviewing all of these products shown below very soon, so do come back to see what I had to say. But for now, it's just a mini peak at what I got. 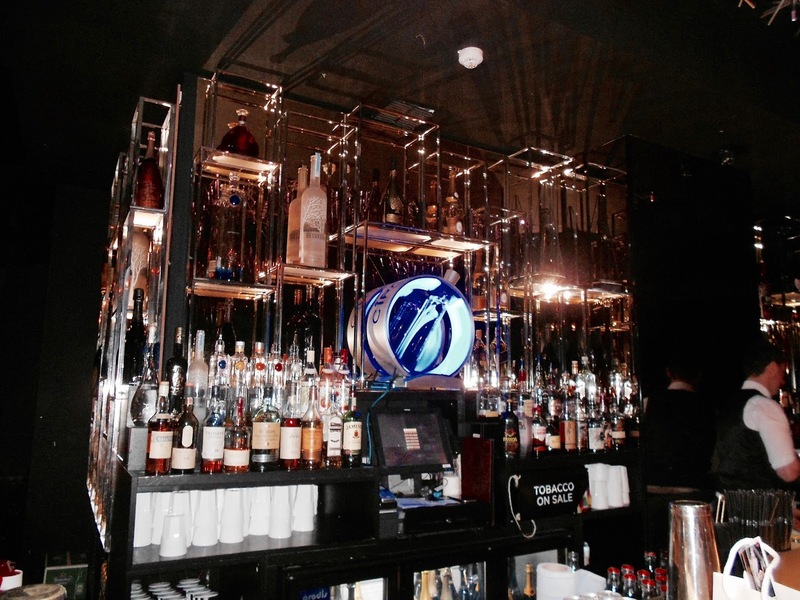 Lastly, a massive thank you to Scarlett for organising this fantastic event at this fabulous venue in central London. It was so nice speaking to her and I'll definitely keep an eye out for any other events she'll be organising. If you want to come to one of her events check out her page here; there's a Bloggers Festival coming up in September which I plan to go to, so do come along if you haven't been. It's honestly not as scary as it may sound! So I finally went to see the most talked about movie of the moment yesterday, Me Before You. A friend invited me to see the film and I was so excited because the trailer looked amazing and the interviews with the cast really made it seem like it was the film of the year. I haven't yet read the book, so I didn't know what all the controversy was about at first, but now that I've seen the film I completely understand. It's a sensitive topic which I'm not going to get into at the moment, but I can say that everyone is entitled to their own opinion and I respect that completely, even if I don't agree with them myself. Anyway, back to the review. 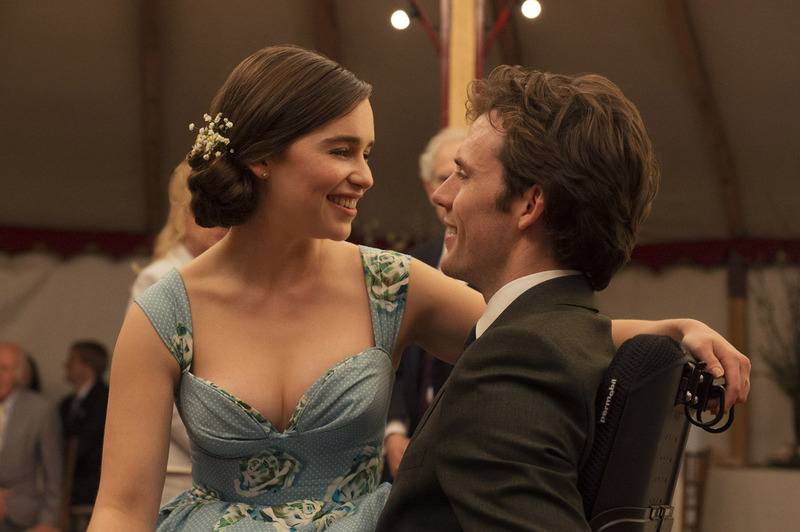 For those of you who have neither read the book or seen the film, it's the story of Louisa Clark (played by Emilia Clarke, aka the mother of dragons in Game of Thrones) a clumsy yet colourful character who lands the job of Will Traynor's carer (played by Sam Claflin), a once successful banker who now lives with his parents in a castle after a motorcycle accident left him paralysed for life. The meeting of these two characters is awkward and tense at first, Will coming off as a snob and Lou as a happy-go-lucky soul who doesn't know how to cheer him up. The relationship and chemistry between the two characters is so tangible that it is well perceived on screen and we are immediately attached to the characters and believe their journey. There are various funny and witty moments throughout the film, which are enjoyable to watch along with the quirky facial expressions Lou makes throughout the film. Lou's character is truly my favourite, she is the sweetest and kindest person in the story and it makes me wish there were more people like her in the world. Her cuteness makes you 'aw' along with her flamboyant sense of style which reminds me of Ugly Betty's wardrobe once upon a time. Lou's boyfriend Patrick (played by Mathew Lewis, aka Neville Longbottom) is a fitness fanatic who wants nothing more than to run all day. He is not the focus in the story, but he does add a slight bit of tension to the love triangle developing which is entertaining to watch. I will definitely not try to spoil anything from the story, as I really want you guys to experience it for yourselves. But one thing I will say is that it has now become one of my favourite movies and that you will need at least 5 packs of tissues when you go and see the film, because you will cry a river. At least, my friend and I did... as well as the entire cinema. The turning point in the story hits you like big yellow school bus as it's so shocking and of course controversial that you really hope things will change by the end of the movie. You get so attached to the characters, that I am still thinking about them now, as they are so unique and wonderfully complex that I wish they were real people. You leave the cinema feeling sad, but really valuing life and wanting to do the most of it as you never know what circumstances you can run into which could turn your whole life upside down. It's inspired me to write more things on my bucket list and to actually try and tick some of them off. But be warned, this isn't a feel-good movie and it will feel as though your heart's been ripped from your chest, but it is so worth watching. Now, I'm off to read the book. I'd love to know if any of you have already gone to see the film and what your thoughts were on it? This is a personal post I am writing here about the awful thing that happened to me yesterday. It was the last day of May and the weather was horrendous. I had gone out with my mum to help her run errands when she looked at the time and realised my brother was going to be home any minute and he didn't have the keys to the house, so she told me to make my way back home to let him in. I then left her at the post office and was rushing back home, pulling my hood down so I wouldn't get wet, when I was crossing the road and a car hit me. In that moment, everything felt surreal. I honestly felt like it wasn't me getting hit by the car and me rolling over and landing on the floor. I remember going through a moment of complete immobility wondering quickly if I had died. I was in complete shock hearing pedestrians shouting at me to see if I was alright, and not being able to take in what was happening. It didn't feel real. It felt like I was another person living through a really bad dream. The driver then pulled over and rushed over to help me up and started asking me if I was alright. I was in complete shock and couldn't stop crying. I didn't have a phone, my mum wasn't with me and I felt completely vulnerable and unsure of what do. I began moving my legs and touching my arms to see if I could move and see if anything was broken. My left hand had scraped on the floor and was bleeding and the back of my leg felt numb and painful. I began shouting at the driver, asking him why he hadn't seen me. He told me that it was because his windows were all fogged up and the rain was making it impossible to see. I then told him that he could have killed me and he began apologising. I then knew I needed to have my mum by my side and asked him if I could use his phone to call her. At first, she didn't respond and I kept praying for her to answer. I tried again and she did and then told her that I had just been hit by a car but that I was okay. I could hear her voice was agitated and shocked as soon as she heard what had happened and soon came to join me. The driver's wife also came as he was supposed to pick her up around the corner to where the incident happened. They kept telling me to sit in their car because it wouldn't stop raining, but I kept telling them that I wasn't going to get in their car. I then kept looking at his registration number and was trying to remember it because I didn't know what else to do. When my mum arrived, all shaken up and worried she began asking what had happened. The driver then told us again to get in his car so he could take me to the hospital. At first, he wanted to give us money and call a cab for us, but I didn't want him to get away. My mum then told him that the hospital wasn't too far from where we were, but if he could first drop by our house to get my brother. We got in the car, my leg becoming incredibly painful, and I could see that his windows were completely steamed up and couldn't see where he was driving. When he got to my house, I realised that the air conditioning switch wasn't even placed properly and told him how to do it, but he couldn't understand me very well as he didn't speak much English. In fact, he had only been in England for 7 weeks. I was then very surprised he was even driving as he didn't even know how to work the car or even manoeuvre it properly, as when we made our way to the hospital he nearly collided with another car and even went over the pedestrians' footpath. I rushed into A&E with my mum and the driver's wife, while my brother stayed with the driver to find a parking space. The nurse at the reception then told me that I had to report everything to the police as it was a traffic accident involving an injury. At that moment, the driver joined us and became incredibly nervous when I told him we needed to report it and I could see that he was scared of what the police would do. He kept telling me that I was fine, and I told him that we needed to report it otherwise he could get into trouble if we hadn't. He kept nodding, but I wasn't sure he even understood what I was telling him as he kept asking what was going to happen. I called 101, the police non-emergency number, and told them what happened. The driver then wanted to speak to them so I handed the phone over and they spoke for a moment. When the phone was handed back to me, the police officer told me that they were going to come down to the hospital within the hour in order to officially report the accident. The hour felt eternal, my leg was really hurting and the driver was in deep thought pacing up and down. When the police finally arrived, one began talking to me, while the other spoke to the driver. I could hear from the other officer that the driver was very nervous at retelling what had happened and was even changing the story. I stuck to the truth and had no idea what the driver was saying to his police officer. Then, his police officer told him to leave. They had gotten his statement and he was now free to go. But the driver wasn't leaving, he kept saying that he needed to talk to the police about what had happened and the police officer began to laugh because, "I am the police!" he told him. Eventually the driver and his wife left, apologising to me one last time before the police officers then told me they had gotten what they wanted and would now investigate the driver. They hoped I'd get better soon and then left. The nurse then called my name and began checking to see if I had fractured parts of my body, which I thank God I hadn't. They X-Rayed my hand and the results seemed all fine. I kept thanking God I was alive, and that my injuries weren't severe. This awful experience has made me more aware when out on the road, and has made me value life more. You never know what could happen or when life could reach its end. - Look before crossing the road. And I mean really look. Even if the road seems deserted and no cars are coming, still look both Left and Right to be completely sure. - When the weather conditions aren't great, take extra care. Having your hood up can prevent you from seeing clearly, so make sure you stop and look around before crossing the road. - Always carry a phone with you. - Don't be distracted when crossing the road. Try to be completely aware of the road when crossing it, and don't let your phone or anything else distract you. Cars can really appear from nowhere. - If driving, make sure your windows are all clear. Find out what all the buttons in your car do and mean and use them if necessary. Remember, that you should put your fog lights on if visibility drops below 100m. That's all guys. I know it was lengthy piece of writing, but I really wanted to share my story to make you all more aware of the sudden dangers that could happen. Remember that police numbers are: 999 (if it's an emergency) or 101 (if you want to contact your local police). For the whole month of April I decided to become a vegetarian! It was an idea that arose from a speech I heard in one of my modules at university. The module was called Consecutive Interpreting, and it consisted of giving speeches and then interpreting them back to the class. The speech itself could be about absolutely anything that intrigued us; mine varied from why Leonardo DiCaprio had to win an Oscar to why it was important to save the polar bears. But the vegetarian speech I listened to really made an impact. First of all, I'm a huge animal lover and so to hear about the way animals are treated really makes me mad. However, I must admit that this never really stopped me from eating meat before, as I do love meat and can never have a sandwich without any ham in it. But, the speech really made me reconsider. So, I made a calendar for the month of April and encouraged my family to write comments on it to encourage me. Each day that I went without eating any meat, I crossed it out. I'm proud to say that the whole month was filled with crosses. When April began however, I really dreaded the thought of cutting meat out completely. The first couple of days weren't too hard though, as I have gone days without eating meat before so they weren't too bad. But, by the sixth day, when my mum decided to make steak for dinner, I really was tempted to break my vegetarianism and have some as the entire house smelt of it; but I did not succumb to the cravings. I stuck to my tuna steak -which was absolutely delicious- and carried on. If more people decide to stop eating meat, then the demand for it will decrease. Some farming methods are absolutely inhumane, and animals are usually confined in tiny cages for their entire life. Eating meat and dairy products contribute to global warming. If you simply cut out the meat from your diet for one day a week for a whole year, it could save about a ton of water. It's true! Not only because you're eating more vegetables, but cutting red meat out from your diet helps you lose weight. There are studies that report that red meat can increase the risk of cancer. Meat that is bought from supermarkets isn't 100% fresh. The animals raised in factories are given various chemicals and growth-promoting hormones in order to respond to the high demand and so the meat we eat isn't pure. However, these are only a few benefits mentioned in the speech that struck in my head along with a few others that I researched myself. But there are many other reasons why going vegetarian is a good thing. I only went vegetarian for a month, but the experience has made me more aware of the food I eat and the products I buy. I actually don't eat as much meat as I used to, and in fact, I have opted for the vegetarian option when out in restaurants. I'm going to try going dairy-free next time! I'd love to find out if you guys would ever consider going vegetarian? Maybe you're vegetarian already; what made you switch? Hey! I'm Laila a 22 year-old blogger from LDN. I love animals, chocolate and binge watching series.